The Sandalwood brigand Veerappan continues to evoke interest even now, although he was killed more than a decade ago. A biopic of sorts of his life was made in Tamil as Vana Yudham by AMR Ramesh which was released in 2013. Now Ram Gopal Varma (RGV) has made a film titled Veerappan produced by Sachin Joshi and starring Sandeep Bhardwaj which is gearing up to release on the 27th of May. Reports say that Ram Gopal Varma had made extensive research on this subject and had talked to many people who were associated with Veerappan. 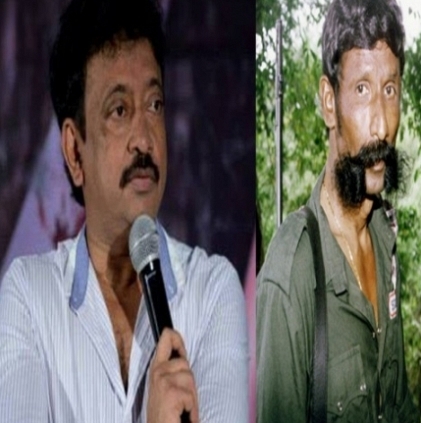 RGV had also tweeted, “Veerappan used to think he is more famous than Rajnikanth and at one point he demanded a film to be made on him as a part of his Ransom”. According to Ram Gopal Varma, as reported in certain sections of the media, Veerappan had also planned to kidnap Superstar Rajinikanth like how he had kidnapped Kannada Superstar Rajkumar. People looking for online information on Ram Gopal Varma, Rajinikanth, Veerappan will find this news story useful.